The building is full of character and presents a great opportunity for businesses looking to thrive in a vibrant city centre. 17,364 sq.ft. Of air conditioned workspace will be available for occupation from Q3 2018. Office space is available over the four upper floors of the building. 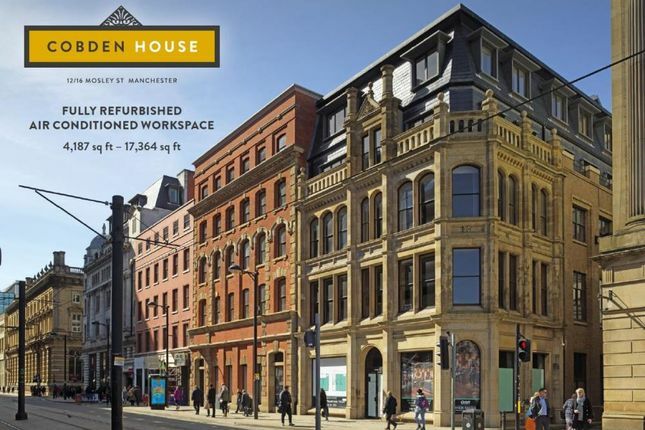 Offering prominence in Manchester city centre onto Piccadilly Gardens only a short walk from a number of restaurants, retailers, the central busines district, and transport links.